The control valve is composed of an actuator and an adjustment mechanism. The actuator can be divided into two parts: the force or torque conversion part and the displacement conversion part. The component that converts the controller output signal into the thrust or torque of the control valve is called the force or torque conversion component; the part that converts the force or torque into a linear displacement or angular displacement. For the displacement of the parts. The adjustment mechanism converts the displacement signal into a change in the flow area between the spool and the valve seat, changing the value of the manipulated variable. The following figure is a block diagram of the control valve components. There are different types of implementing agencies. According to the use of energy, the implementing agencies are divided into pneumatic, electric and hydraulic three categories. Pneumatic class implementing agencies have a long history, low prices, simple structure, stable performance, easy maintenance and essential security characteristics, therefore, the most widely used. The electric actuator has a direct connection. Then the electric instrument or computer, do not need the characteristics of electrical conversion links, but expensive, complex structure, the application should be considered explosion-proof and other issues. The hydraulic actuator has the advantage of large thrust (or thrust), but the device is bulky and the flow path is complicated. Often, the use of electro-hydraulic combinations is applied to require large push force (torque) of the application. 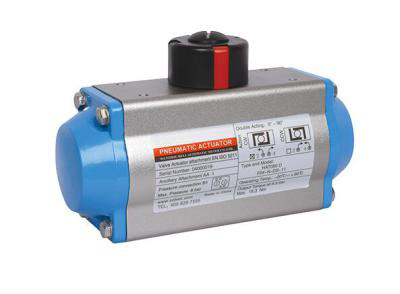 According to the direction of movement of the actuator, the implementing agencies are divided into positive and reactive actuators.Positive Actuator The stem moves outward when the input signal is increased. The reaction actuator moves the stem inward as the input signal increases. According to the type of actuator output displacement, the implementing agencies are divided into straight line executive agencies, corner actuators and multi-turn actuators. Straight trip actuator outputs linear displacement. 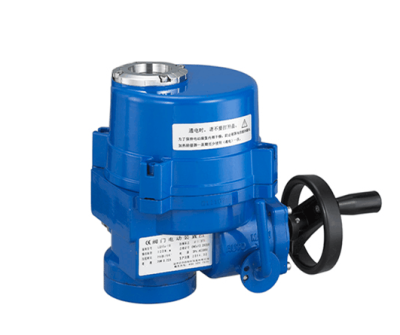 Corner Actuator Output angular displacement, angular displacement less than 360 ° For example, the rotation angle is 90 ° or 60 ° butterfly valve actuator. The multi-turn actuator is similar to the angle travel actuator, but is rotated angular displacement can reach multiple turns. According to the type of actuator components, pneumatic actuators are divided into film implementing agencies, piston actuators, gear actuators, manual actuators, electro-hydraulic actuators and so on. According to the operating mechanism of the implementing agencies, the implementing agencies are divided into two categories:continuous and discrete. The output of the continuous type actuator is a continuously changing displacement signal. 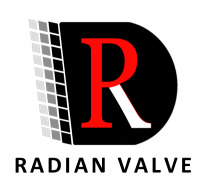 The output of the Discrete Type Actuator is the displacement of the switching signal. Solenoid valve is the most commonly used electric discrete control valve, safe vent valve is also a common discrete control valve. According to the installation of the implementing agencies, the implementing agencies are divided into straight, side mounted. Straight mounted actuators are mounted directly on the adjustment mechanism. The side-mounted actuator is mounted on the side of the adjustment mechanism, which changes the direction of displacement and the magnitude of the force by means of a booster. According to the actuator output and input of the operating characteristics, the implementing agencies are divided into proportional,proportional and other types of integration. The output of the proportional actuator is linearly related to the input signal. The output of the proportional integral actuator is the sum of the proportional and integral effects of the input signal. According to the type of input signal input, the implementing agencies are divided into analog actuators and digital actuators. Analog actuators receive analog signals, for example, 20 ~ 100kPa baud signal, 4 ~ 20mA standard current signal. Digital actuators receive digital signals, usually a string of binary signal for opening and closing the corresponding digital valve. With the application of fieldbus technology, the implementation of fieldbus digital signal actuator is being widely used.